Destiny is defined as a predetermined course of events often held to be an irresistible power or agency. After speaking with dynamic duo Mark Thierry and Greshaun Fulgham, I now have absolute confirmation that this definition is true. 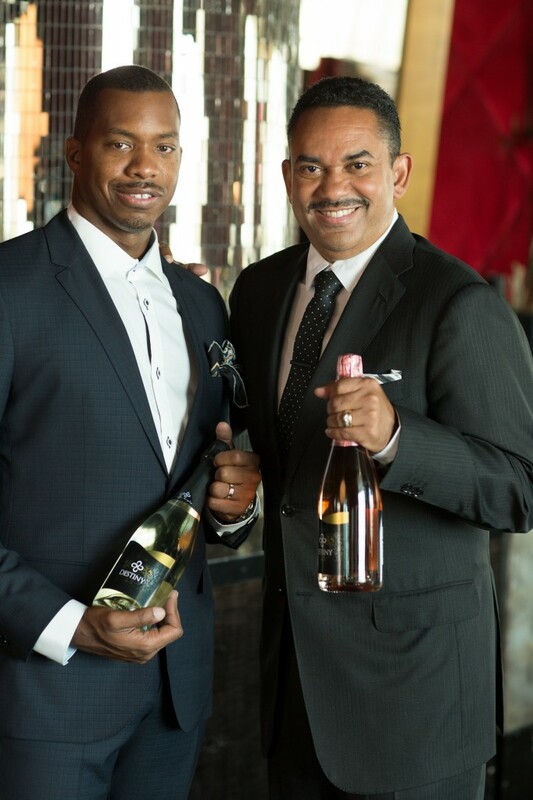 As co-founders of Driven Global, Thierry and Fulgham created the first ever African-American-owned golf brand, Driven Golf, and wine brand, Destiny Moscato, a new line of sparkling wine, through Red Styxx Beverage. The prodigious pair has managed to merge their diverse backgrounds and contrasting experiences to form an infectious symbiosis, and multimillion-dollar empire. Upon speaking with them, it was obvious that their differences are what make their alliance work – and work well. It was Robert Johnson, the founder of Black Entertainment Television (BET) and first African American billionaire, who first introduced Thierry and Fulgham. Since that time, the partners and friends have conquered some impressive feats, including aligning with celebrity model, Nicole Murphy, and naming her as Brand Ambassador for their Moscato wine. Their brilliance and aptitude to discern between winning enterprises and relationships is superior, and without a doubt the blueprint for the perfect business recipe. Texas-born Thierry is an award-winning businessman with a background in sales, medical diagnostics and government contracting. He started his entrepreneurial path early on, and enjoyed success in many of his prior endeavors. He has tremendous passion and zeal for his current projects and mutual admiration for his partnership, and their ability to turn their ventures into a billion dollar company. In response to my quest for their background story, and what has brought them to this point, Thierry quickly responded, “Two is better than one!” Described as more of the risk taker, Thierry credits his counterpart, Fulgham, for the structure that he brings to the table. Thierry clearly values their business relationship and friendship, and acknowledges that there is “power in partnership and in the philosophy behind being equally yoked.” Though challenges have arisen, he declared that together “they’ve overcome them all. Whatever you do, don’t quit.” Hurdles are inevitable, but how you handle them makes all the difference. He also gives credence to there being “power in people, and power in second chances” – a remarkable attitude to have along any journey involving an international takeover. Fulgham, from Washington D.C., hails from a different backdrop. A former expat from the days of his youth, he managed to amass his wealth from real estate and a prosperous international financier background. Having lived in Italy as a child, Fulgham grasped the concept of international community early on. It was evident to me that he was equally as impassioned, calling his partnership with Thierry “a blessing to be in, with a brother and friend.” Though it was Johnson who connected the duo, Fulgham also believes it was destiny that brought the two together. The strength of their unity is palpable and despite “impending challenges relating to capital,” Greshaun expressed that it is their “mutually supportive” nature, and desire to “reciprocate and amplify” that has aided the team. Even when being told ‘no,’ they found innovative ways to progress from concept to completion. Fulgham also spoke about the importance of “honing gut skills,” regarding who to collaborate with, and who not to. He also addressed essential motivators for inherent success: legacy, transcendence and the creation of brands that demand global impetration. What this pair has managed to accomplish in a very short time is astounding. They have set out to create more than just a lifestyle brand – but rather a “way of life”. They offer high quality products and services, and have established their flourishing businesses upon a rock. Fulgham and Thierry attribute their strong spiritual foundation as the primary factor in their success. They have high morals, and work faithfully to provide a good example to their families and communities. Although their business experiences differ, it’s these core values that bind them together. 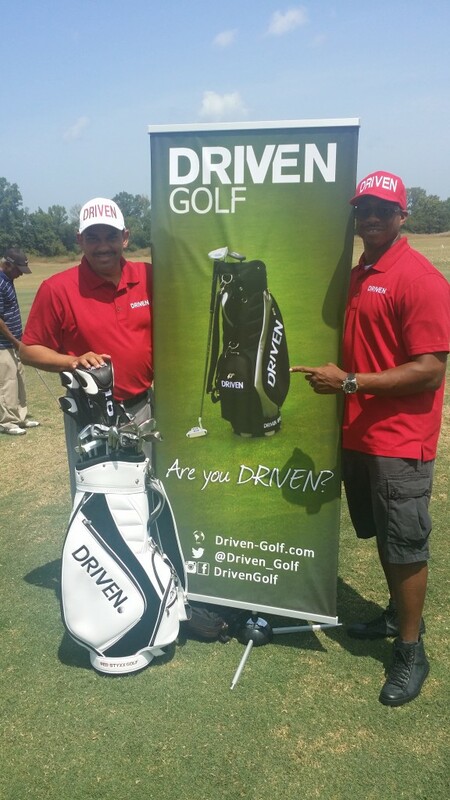 For more information, visit www.destinymoscato.com and www.drivengroupllc.com.